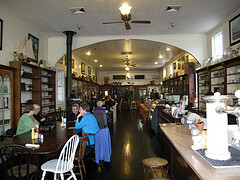 Today I had lunch with my dear friends at Bair Bistro (Living Museum, Restaurant & Country Store) at 1617 Lafayette Street in Steilacoom, WA 98388, (253) 588-9668. Everyone in the group seemed to enjoy their meals and the service was good. 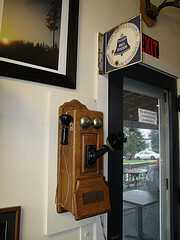 This entry was posted in Coffee Shops, cafes and bistros, Historic Sites, Restaurants, Steilacoom, WA State - Pierce County and tagged 1895, Bair Bistro, country store, historic, Lafayette Street, living museum, restaurant, service, Steilacoom on January 15, 2011 by admin. 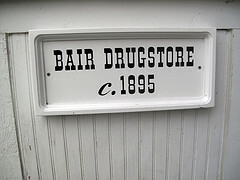 So many great potentials for today’s New Place of the Day…the Steilacoom Library (libraries are always good), the Bair Drug and Hardware Store (a restaurant) and the Orr House, which is part of the Steilacoom Historic Museum Association. The one I’m least likely to get back to anytime soon is the Orr House, so that is the New Place of the Day. 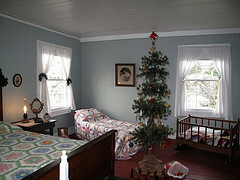 Construction on the house began in 1857 and originally the first floor was a wagon shop. The house which is at 1811 Rainier Street and has lovely marine views. 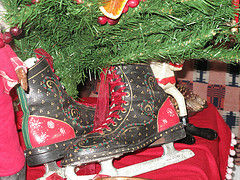 Best of all, it was decorated by volunteers for the holiday season. 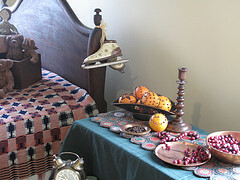 The volunteers were dressed in period attire and spent quality time sharing information about each of the rooms. 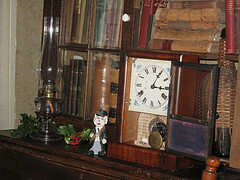 Each room, except two, had a mouse and a clock, though I didn’t manage to find them all. 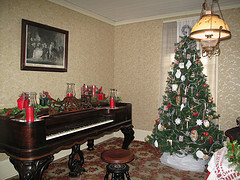 This entry was posted in Historic Sites, Museums, Steilacoom, The Holidays, WA State - Pierce County and tagged 1811 Rainier, 1857, Bair, clock, historic, Historic Museum, holiday, mouse, Steilacoom, volunteers on November 20, 2010 by admin.